China Tribunal in London. April 2019 hearings. 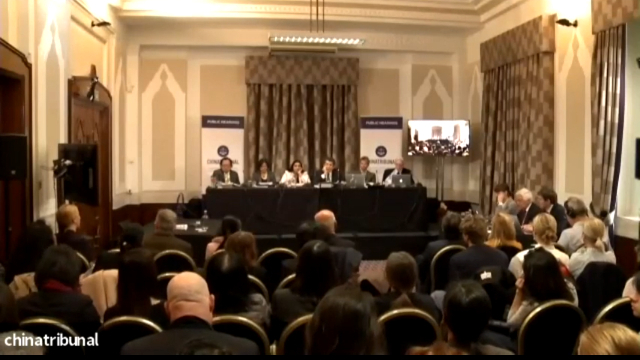 According to experts that spoke at the second round of hearings of the China Tribunal against organ harvesting, held last weekend in London, the world is turning a blind eye to the “pillaging” of organs carried out with Beijing’s approval, and the practice shows no signs of abating. During the first phase of the Tribunal in December 2018, testimonies were heard from human rights investigators, lawyers, doctors, and academics, all of whom made a persuasive case that prisoners of conscience are being harvested for their organs in the tens of thousands. The Independent China Tribunal, commissioned by the International Coalition to End Transplant Abuse in China (ETAC), is composed of international lawyers from four different countries, a specialist China historian, an organ transplant surgeon, and a businessman whose brief is to consider the evidence and act collectively to determine what consequences in law there might be, were China to be found guilty of international criminal offenses. 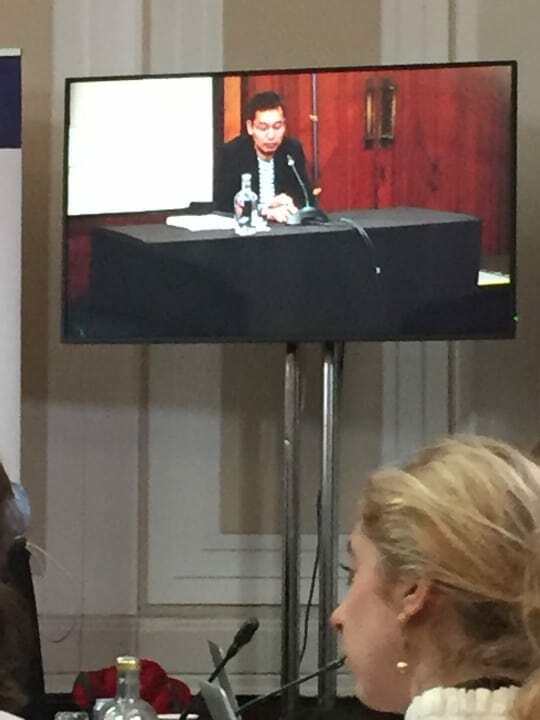 Uyghur Mihrigul Tursun giving evidence on torture at the China Tribunal. Over two days of first-hand grueling witness accounts of torture and imprisonment, the panel heard from former extra-judicially detained Uyghurs and Falun Gong practitioners, about their incarceration, interrogations, and abuse. Their detentions which included thorough health checks of internal organs, blood and DNA typing, could only point, according to expert medical witnesses, to the deliberate collation of an organ database. 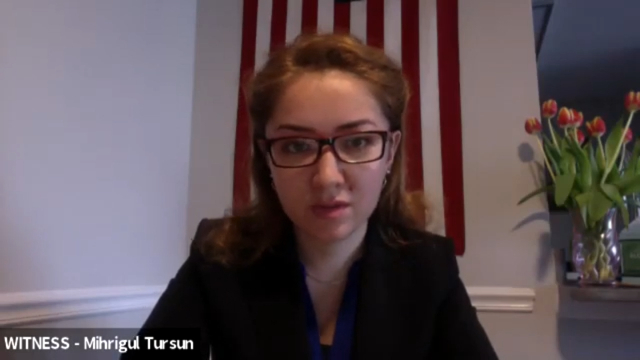 One such detainee, Uyghur Mihrigul Tursun, giving evidence to the tribunal spoke of her own torture and rigorous health checks during three periods of imprisonment between 2015-2017. During this period, one of her triplet infants, taken from her when she was arrested at the airport on returning to Xinjiang from her home in Egypt died in mysterious circumstances. She spoke of several young women sharing cells with her who died suddenly and others who simply disappeared. Mr. Hamid Sabi (right), international lawyer and counsel for the Tribunal. A particularly shocking anomaly concerned data from China, which claimed that in the space of ten days, during which 30 donors died, a total of 640 organs were harvested from their bodies. As counsel for the Tribunal, Mr. Hamid Sabi asked Mr. Robertson if it would be possible to gather 21 organs from each of these people. Mr. Robertson said these figures were “highly suspicious,” given that the maximum accepted average number would be 2.7 organs from one donor. Dr. Torsten Trey, Executive Director for Doctors Against Forced Organ Harvesting, giving evidence at the Tribunal. 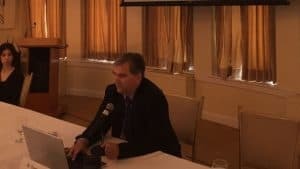 Dr. Torsten Trey, Executive Director for Doctors Against Forced Organ Harvesting, supported these findings by remarking on the discrepancy between China’s figures and those of the rest of the world. He said that in the UK, for example, only one percent of registered donors a year actually become donors. “In China, however, it seems that the published figure is 140% more than other countries. This is an inconsistent ratio,” he said, adding that the figures seemed to indicate “an undisclosed donating pool. “He believed that the “indirect and circumstantial evidence” was substantial, and at the very least should trigger an international inquiry. Dr. Trey was also concerned at the exponential expansion of China’s infrastructure for transplants having studied 68 peer-reviewed medical papers looking at transplant tourism between 2000-2016. Having started from zero in 2000, he has observed a steady and startling growth of transplant infrastructure in the hospitals he had studied in detail. He said that no other country in the world (apart from documented killings by ISIS in 2016) involved the killing of the organ source. “There is hard evidence in the transplant patients and the tourists who go to China for organs,” he said, advocating an international agreement to check returning patients and the DNA of their new organs, and comparing them with that of prisoners. “In this way, we could medically establish where the organs came from,” he said, adding that the transplant business should be transparent. “Knowledge has increased in China, and it is being built on the blood and bodies of prisoners of conscience,” he said. “The world medical community should remember the gold standard of ‘first do no harm,’” adding that the figures produced by his organization had been frequently and “willfully” rebutted, and sometimes ignored altogether. He felt there was an underlying insidious reluctance to challenge China on this issue. Mr. Kim Hyeoncheol from Korean TV who conducted undercover investigations in Tianjin Number One Central Hospital. South Korean TV journalist Kim Hyeoncheol spoke in person at the tribunal about his undercover mission to interview Korean patients in Tianjin Number One Central Hospital waiting for kidneys and pancreas. None was aware of the origin of their organs. A Korean nurse on duty said that patients usually had to wait around two weeks and a maximum of three months for their organs and only after arrival in China would their health data be analyzed. She said that several middle eastern patients were waiting for organs. Typically, a liver transplant, for example, would cost $US170,000, and the embassies paid the bills. Witness testimonies were heard from China analyst Ethan Gutmann, Canadian human rights lawyer David Matas and former Canadian Secretary of State David Kilgour whose 2016 report “Bloody Harvest/The Slaughter: An Update” included 700 pages of further evidence to support their findings following their original Kilgour-Matas Report of 2007 into the harvesting of organs of prisoners of conscience in China. 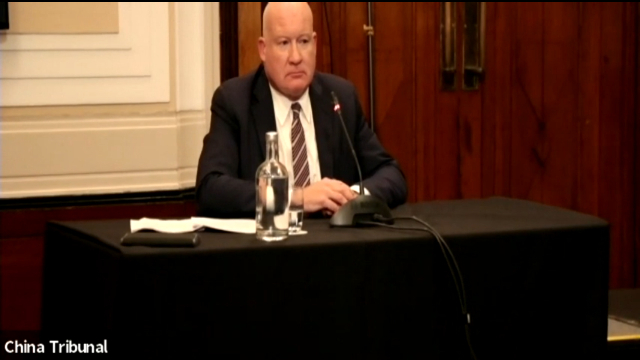 China analyst Ethan Gutmann at the London Tribunal. Responding to Mr. Field’s comment that there is no evidence of organ tourism out of the UK, Mr. Gutmann said that his team contacted 50 hospitals none of which was prepared to breach patient confidentiality, but that five hospitals admitted they tried to persuade patients not to go to China. He also spoke to a patient in Birmingham who had received a new kidney in Xian’s medical hospital. Mr. Gutmann spoke about his worry of a present-day “speeded up version of the Falun Gong persecution” because Beijing now had a complete Uyghur database. “The Uyghur situation is a catastrophe. Uyghurs have been blood tested, crematoriums have been built, and there are dedicated organ transplant lanes at airports in Xinjiang.” He added that it would be impossible to DNA test millions of Uyghurs without state sponsorship. 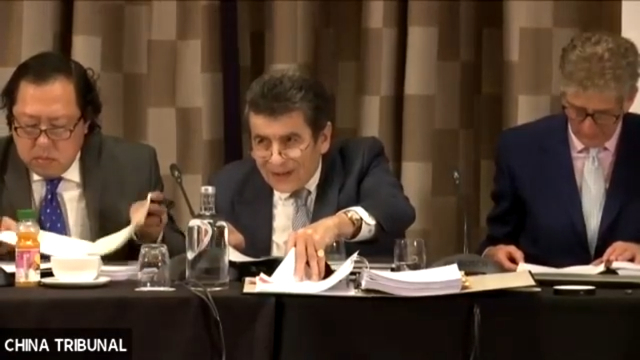 Sir Geoffrey Nice, QC, presiding over the Tribunal. On his right, Andrew Khoo, Malaysian lawyer and international human rights advocate, on his left, Nicholas Vetch, a businessman with particular interest in human rights. 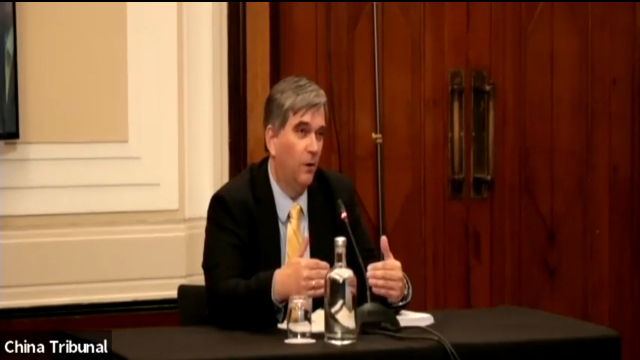 Mr. Kilgour expressed his deep disappointment at the comments made by Mark Field in parliament, in particular, the lack of a written forensic analysis of their 2016 report which he said was his duty to provide. “As someone of British origin myself,” he added, “I am ashamed that a minister from Britain of any level would make a statement like that in parliament,” adding “The industry is escalating and numbers are increasing. I shudder to think of what is happening to the Uyghur community at the moment. It’s simply preposterous to tell you or me or anybody that transplants stopped in January 2015.” “This ghastly organ industry is growing,” he added. He felt it was “willful ignorance” on behalf of the British and other world governments not to engage with China over this issue, citing the few countries including Taiwan, Canada, Czech Republic, and the EU which had chosen to take a stand. Mark Field declined an invitation to the tribunal, but Sir Geoffrey Nice, QC, the Chair of the Tribunal, said that he would be given an opportunity to do so should he make himself available. 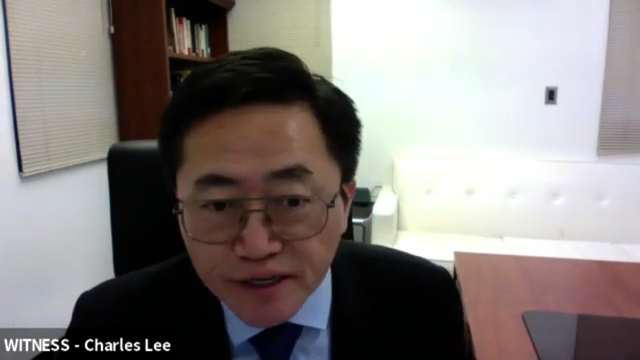 Dr. Charles Lee, head of the World Organization to Investigate the Persecution of Falun Gong. Dr. Charles Lee, head of the World Organization to Investigate the Persecution of Falun Gong (WOIPFG), described his conclusions reached after studying thousands of academic papers, 300 of which concerned organ donation in China. From descriptions of patient preparation before major organ removal, and in some cases being intubated and anesthetized, he could only conclude that patients had been alive at the time. So-called donors were young and healthy with no history of serious illness, and the fact that organs could be ordered two weeks in advance all pointed in his opinion to murder. Dolkun Isa, President of the Munich-based World Uyghur Congress. 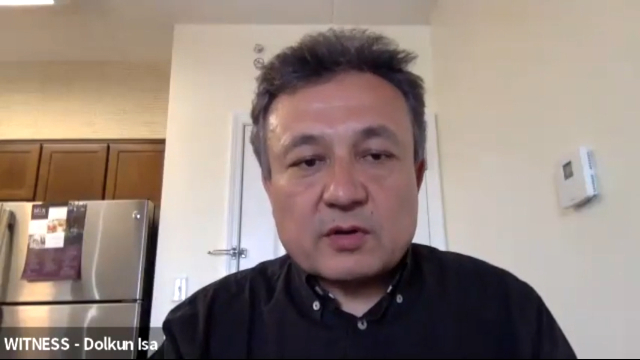 Dolkun Isa, President of the Munich-based World Uyghur Congress, spoke of his deep concern at the deteriorating situation for Uyghurs in China. Together with mass disappearances, arrests, and incarcerations, he feared for the eradication of the Uyghur identity. Based on evidence primarily from 2000 Kazakhs released from re-education after an agreement between Beijing and Kazakhstan, it is clear, he concluded, that inmates are subjected not only to torture and abuse, but systematic health checks, including blood, DNA, and organ scanning. 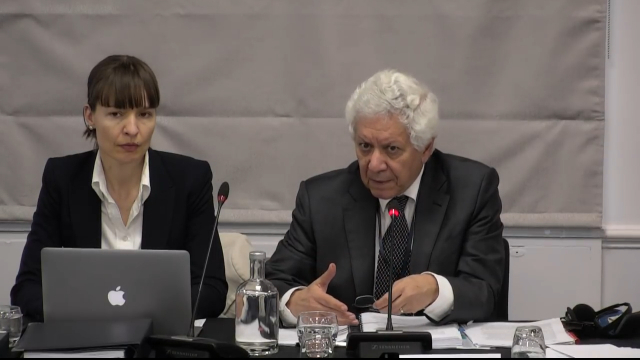 In concluding the Tribunal, Geoffrey Nice said that it would be “extremely helpful” to have a forensic analysis from the British Foreign Office critical of the evidence from the tribunal and they would make themselves available for a response. A final judgment is expected on June 17, 2019. Ruth Ingram is a researcher who has written extensively for the Central Asia-Caucasus publication, Institute of War and Peace Reporting, the Guardian Weekly newspaper, The Diplomat, and other publications.